For Guest and Tenants who are looking for luxurious accommodation (suites with bedrooms, kitchen unit, living room, and bathroom available)size 41-43 sq.m. 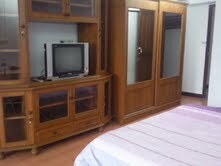 (just 15 minutes from Victory Monument BTS and 15 minutes from the Airport Link. ) Only 10,100 -10,400 baht per month. But some have to pay 20,000-30,000 baht per month, despite the ease of travel is not much different. You can save money up to. 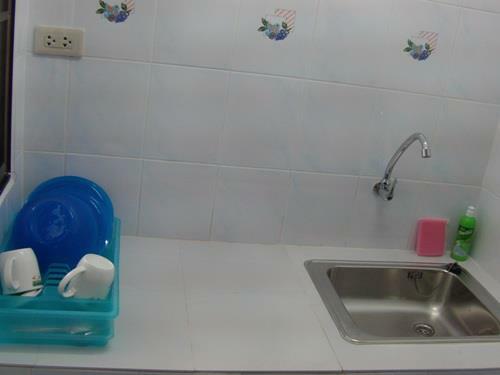 10,000-20,000 baht per month, this amount can be paid daily or buy what you need. 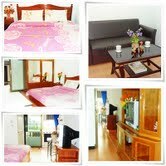 Is suitable for those who want to live in a family and the many people who want space to work or relax. 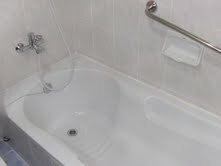 The facilities we allocate are available for you. You feel like you're at home. Rear park suitable for recreation and exercise and is peaceful. beauty salon, laundry, restaurant, washing machine, Water Vending Machine, Springer, Generators (emergency) Fire escape staircase, fire extinguisher system etc. Department stores, shopping: King Power, Platinum Hotel, Pratunam Center, Century Plaza, Baiyoke 1,2, Center One, Pantip Plaza, Clearwater Gate Pavilion, Central. World, Isetan, Gaysorn Plaza, Amarin Plaza, Erawan Plaza, Central Chidlom, Big C Ratchadamri, Siam Paragon, Siam Center, MBK Center, The Emporium, Robinson Ratchada, Rama 9, IT Fortune Info., The Mr Rama 9 (The Nine), Terminal Terminal Twentyone (Terminal 21), UK. 's Village (K Village). จำนวนคนเข้าชม : 8009 ลงประกาศเมื่อ : 23/04/2019 เวลา 02:56 น.